Marathwada can well be described as the home of Arts, Culture and Literature. The Caves of Ajanta and Ellora, which lie in this region, attract scholar’s artist, Students and visitors from distant part of the world Marathwada region has a rich literary and culture heritage. The Well-known poets, writers, saints and philosophers of Maharashtra Belong to this region. Dnyaneshwar, Namdeo, Ekanath, Dasopant and Ramdas are notable names. They have been responsible for the epithet cradle of Marathi Literature, applied to this region. ‘SIRAJ’ a great poet of early Urdu Literature and “WALI” known as fathers of Modern Urdu Poetry were born here and lived here in the city of Aurangabad. A year before the establishment of the Marathwada University for the population of approximately 53 lakhs in 1957, there ware around 3686 primary schools, 231 middle schools and 95 high schools in Marathwada. There wear one polytechnic and one technical school at Aurangabad until 1950; there was one intermediate college run by the Osmania University at Aurangabad. Two non-government college were started one at Aurangabad and one at Nanded in 1950. Five more colleges came into existence between 1954 and 1956, three established by the government namely, a college of Education and a college of Medicine at Aurangabad, and a college of agriculture at Parbhani and a college of Science at Mominabad. The number of students passing the H.S.C. examination had increased form 1,065 in 1957-58. For a longer period Marathwada was educationally neglected. There ware only nine intermediate college and ninety-five high schools for a total population 5,300,000 in Marathwada region before 1st November 1958. Moreover all the college were affiliated to the Osmania University, Hyderabad. The Student of Aurangabad (Marathwada) had to go to the Osmania University of Hyderabad for further studies. There were no facilities for post graduate and research students. It was difficult for a student of average means form the distinct to avail of the educational facilities in Hyderabad.Hence there was a demand form the people of Marathwada region for having an independent University in Marathwada Region increased when the number of students had to go all the way to Hyderabad for their education.After merging of the Marathi speaking areas of Hyderabad in the old state of Bombay the people of Marathwada felt free to give expression to their aspiration, and began to voice their demand for the establishment of University for the region. Educational and other associations urged the need for a separate University for Marathwada for the educational cultural and general development of the region. In the Osmania University, the medium of instruction was Urdu as it was established in the Nizam State After political change in 1947, the independence of India the regional language were adopted as medium of Secondary Level Education. Therefore, It was necessary to teach the higher education in regional language because of this problem people form Marathwada region demanded a new University for the educational as well as Socio Economical development. On 12th December 1954 meeting was organized by Marathwada Shikshan Samiti in which emphasis was given on Separate University for the purpose of cultural and Educational activities two Convention of members of Parliament and of the State Legislature in 1955-1956 strongly represented the need for a University on 29th July 1956 a delegation of members of Parliament and of the state Legislature an educationists in Marathwada Submitted memorandum to the Chief Minister of Hyderabad State making of similar demand the Government of Hyderabad appointed a committee. The committee submitted its report an on 27th October 1956 the Council of Ministers recorded its view that it was strongly of the opinion that a separate University for Marathwada area should be established. Shri Y.B. Chavan who was Chief Minister of Bombay then toured Marathwada in January 1957 wherever he went and received representations form the local bodies, students and citizens, pressing the demand for a University for Marathwada. In response to the educational demand of Marathwada region on 27th April 1957 the government of Marathwada published its resolution appointing a Committee to report on the question of establishment of a separate University for the Marathwada area under the chairmanship of the Late Justice S.M. Paluitkar Ex chief Justice of the Hyderabad High court and later judge of Bombay High court. The committee was composed nine members recommended the establishment of original University for Marathwada area with the teaching and affiliating functions, which should pay special attention to need of the region. The committee submitted its report on the 1st December 1957. Following the recommendations of the committee, government took immediate steps to draft the necessary legislation and the Marathwada University Act received the assent of the Governor on the 5th May 1958.Shri S.R. Dongerkery, Rector of the University of Bombay who was the member of the Marathwada University committee, was appointed the first vice-chancellor by the government of Bombay on the 2nd June 1958. He assumed charge of his office on the 19th June 1958. Shri. M.P. Chitins, the principal of Milind Mahavidyalaya, Aurangabad and a member of Marathwada University committee, was appointed by Government as the first Registrar, he took charge of his office on the 18th June 1958. Dr. Babasaheb Ambedkar Marathwada University, Aurangabad has 404 affiliated Colleges. Click here to explore them. 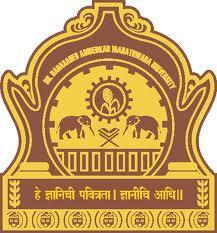 Are you Interested in studying at Dr. Babasaheb Ambedkar Marathwada University, Aurangabad? This page was last modified on 2 July 2016 at 14:07.